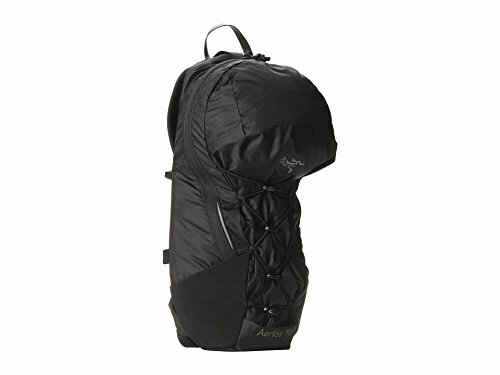 Lightweight, low-profile daypack. AeroFoam backpanel for increased comfort and breathability. Bioplastic top grab handle. 3D molded framesheet with anti-barelling ribs. Full length U-zipper access for easy access and loading. Corded zipper-pulls reduce noise and are easy to grab. Reflective blazes for enhanced visibility in low light. Key clip. Internal security pocket and two stretch-mesh pockets for added storage. Hydration bladder sleeve, clip, and HydroPort to keep you hydrated during those long hikes. Modular, stowable bungee compression system. Materials¹...100D Invista HT Mini Ripstop with silicone and PU coatings¹...420D Invista HT Plain Weave¹...Hypalon trim¹...Spacermesh¹...AeroForm mesh promotes air flow, is lightweight, abrasion resistant and does not absorb water¹...840D Stretch mesh¹...HDPE framesheet Volume 10 L.